Driving immediately becomes more difficult once the sun goes down. It’s harder to see obstacles on and off the road at night. You need to be extra careful when driving when it’s dark outside. 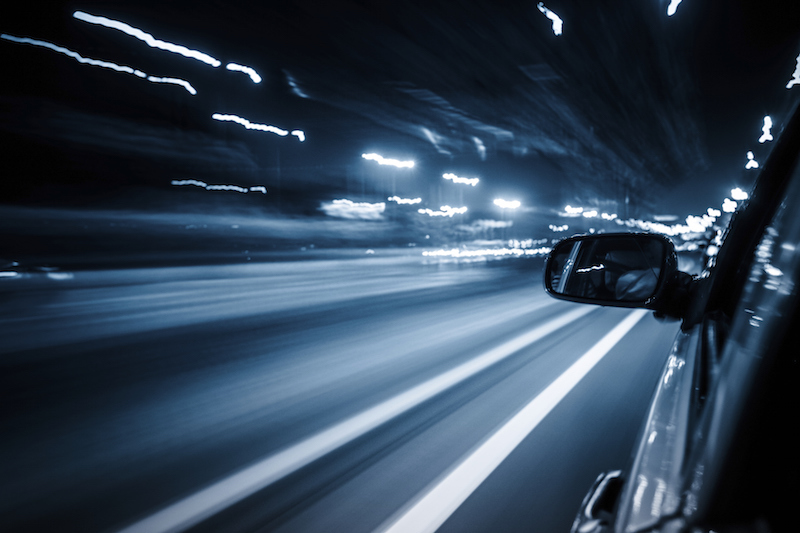 Here are six tips for safer nighttime driving. The dangers of driving at night don’t only consist of things that you don’t see. You can also be a hazard on the road if you have a lot of exterior lights burned out on your vehicle. For example, if your brake lights are no good, people will have an incredibly difficult time telling if you’re coming to a stop. This is a great way to have someone rear-end you at a high speed, which can cause serious whiplash, or worse. Drowsy driving is one of the most dangerous kinds of driving, as it’s responsible for over 6,000 deaths and 50,000 injuries every year in the U.S.Many of these are a result of overworked truck drivers, which means you should also be aware of other people on the road exhibiting behaviors of tired driving, such as lane drifting. If you’re too tired to drive, you should just pull over somewhere and sleep for a little while. Even better, drive with multiple people so you can take turns behind the wheel, and also help keep each other awake. Even if it’s just a short ride, driving under the influence is dangerous to you and other people on the road. This behavior will come back to haunt you eventually—either in the form of an accident or a DUI. Neither of those things will help you when it’s time to compare auto insurance quotes. There are a few things to watch out for while you’re driving at night. The first of these is eyes. Learn to slow down when you see two little orbs reflecting back the light of your headlights.This means there’s something—either animal or human—on or next to the road. No matter the circumstances, it’s always best to slow down a bit when you see eyes while driving. You may need to stop quickly; but if you’re going too fast, that simply won’t be a possibility. Every bike rider must wear armored motorcycle jacket for safety purpose. You should also pay close attention to road signage at night. Don’t ignore construction or lane shift warnings. Often, highway crews will work at night to avoid rush hour traffic. You’re putting road workers in a lot of unnecessary danger if you speed through work zones. It’s also easy to find yourself in the wrong lane if you don’t pay attention to road signs at night. Part of safe driving is making sure your vehicle is up to par. Smeared windows and dirty mirrors can actually be a huge danger when driving at night. If you can’t get a clear view from your windshield, how can you expect to see far-off hazards in the road? Additionally, dirt on your windows and mirrors obscures the lights of other cars. So you might think another vehicle is farther away than it is in reality. This can create a lot of dangerous driving situations at night. It’s really distracting when someone in the oncoming lane doesn’t turn off their high beams. However, staring into them will only make the situation worse. Any attention you give to bright lights is attention taken away from your true task: driving. Just look away from the high beams if they’re coming at you. And if they’re coming from someone on your tail, adjust your mirrors to reflect the light away from you. Do whatever it takes to limit your distraction from lights. These are a few of the best ways to drive safer at night. It’s important to take any possible measures to decrease the likelihood of an accident. Everyone is better off if you’re serious about nighttime driving safety. For bike riders, you can buy helmets here motorcycle helmets on sale. But if you don’t have the discipline to follow our advice, maybe you should consider alternative ways to spend your night. This website should give you some ideas.